A gasoline powered car uses a combustion engine which burns gasoline whereas a pure electric car has an electric motor which needs electricity to run. This is the major difference between a traditional automobile and an electric vehicle (EV). The motor draws electricity from the car’s rechargeable battery. If the battery is fully charged, the car can run from 150 to 250 miles. Then the battery gets exhausted and must be recharged again. You can recharge the battery either at your home or at battery recharge stations. For the convenience of electric car drivers, a number of battery recharge stations are being set up across the country. 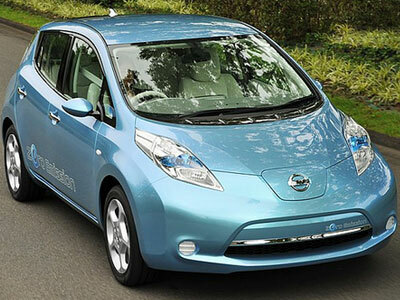 To encourage the use of electric cars, the UK government is planning to provide subsidy to those who opt to buy EVs. The time a battery takes to get fully recharged depends on the power input capacity of the socket. On an average, it takes one hour or less to recharge an electric car battery. Since electric cars don’t burn petroleum products, they don’t produce exhaust fumes. This is the reason why electric cars are considered to be environment friendly. But indirectly, EVs also play a part in the production of carbon dioxide because the electricity needed to recharge the car battery comes from the power plant where fossil fuel is burnt. The regenerative braking mechanism incorporated into an electric car minimizes the loss of energy. How Safe Are Electric Cars On The Road? An electric car is in no way less safe than an ordinary automobile. In most cases, an electric car is heavier than other cars and the weight of the car keeps the passengers safe if there is a car crash. Depending upon the make and design of the car, the safety features of electric vehicles can vary from manufacturer to manufacturer. Another area of safety concern is the electric circuit and electric shock to the passengers. An electric car has all the necessary safety measures in place to prevent electricity from passing on to the chassis of the car. The passengers are therefore safe even under wet conditions. An electric car doesn’t function at all if the chassis of the car comes into contact with the electric circuit. There are circuit breakers and fuses to ensure that no short circuit takes place within the car. Since electric cars are heavier than their counterparts, it is better to choose cars with power steering and power brake. The main drawback of a pure electric vehicle is its silence. An electric car runs silently and people on the road may not notice the car coming. Lack of sound poses a risk to pedestrians, especially to those who have poor vision. To ensure the safety of pedestrians on the road, some governments are planning to make it compulsory for electric cars to produce some sound. Are Pure Electric Cars Popular? Electric cars haven’t got the popularity they deserve yet. They were popular at the beginning of twentieth century when oil price was high. But when the oil prices fell later, they lost their popularity too. However, towards the end of twentieth century and at the beginning of twenty first century, there has been a revival in the popularity of electric cars mainly due to an increase in oil prices and concerns about the environment. Car manufacturers have started producing more electric cars and there is a marked increase in EV users. Some governments have even started offering incentives to buyers of electric cars. It is hoped that electric cars will become more popular in the near future.